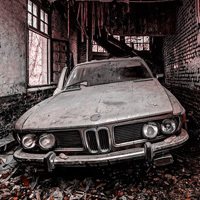 Wow Abandoned Car Garage Escape is another point & click escape game developed by WowEscape. In this game, you came to an abandoned car garage for a research work. But unfortunately, you missed the way out from this place. You have to find the way to escape from the abandoned car garage by finding useful objects, hints and by solving puzzles. Click on the objects to interact with and solve puzzles. Good luck and have fun! The hammer is used on the round boiler in the center of the scene immediately to the left of the scene where you open a drawer in a tool box. You only need 3 clues for the fan order to work. Hardest thing is to find the scenes to place clues. Really short game but still fun. I can't find a place to use the hammer... Anyone??? No problem, Debrah. Using the the Hammer was the hardest part of the game for me, and there was no hint for it. Thanks for the hammer clue. Thanks Mac for the hammer clue, I was going around in circles!